On Thursday, the Register-Star published an article about the previous day's meeting of the Columbia County Board of Supervisors Space Utilization Committee: "Columbia County shows interest in acquiring Edwards school." What is being discussed and rather energetically promoted by a few Hudson elected officials is the acquisition of the John L. Edwards school building and the relocation of various city and county offices and departments to the former school building. At its August meeting, the Common Council passed a resolution requesting that Columbia County do a feasibility study on converting the building to the proposed new uses. The article reports that, when asked if the Common Council "would support the city paying for a third of the cost of the school," Mayor Rick Rector and Council president Tom DePietro said it would, which seems a little unfair since, based on the information provided in the article, the City wants to occupy only about a sixth of the building--15,000 of the 89,500 square feet. Columbia County has a history of taking over old school buildings when the school district no longer has use for them. Two of the buildings the county is now looking to abandon--401 State Street and 610 State Street--were former school buildings. 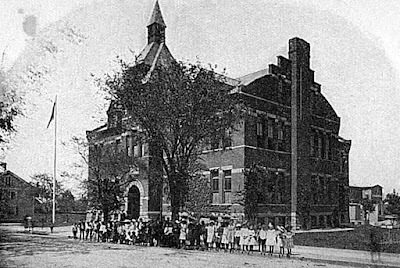 The county also once owned the Charles Williams School on North Third Street but swapped it for city-owned land on Columbia Street needed to construct the county office building at 325 Columbia Street. In 2010, after owning the building and letting it stand empty for five years or more, the City of Hudson sold it to the not-for-profit Second Ward Foundation. If the current plan to acquire John L. Edwards were to be carried out, it would leave a number of buildings available for sale or reuse. It's important to consider what buildings they are and what impact new uses could have. It needs to be acknowledged, though, that everything that's been mentioned as possibly moving to JLE may not fit into the building. JLE is 89,500 square feet; the square footage of the buildings the county is looking to vacate totals 88,131 square feet; the City of Hudson wants 15,000 square feet for its offices and departments. This building was constructed in 1915 and dedicated as Hudson High School at the beginning of 1916. 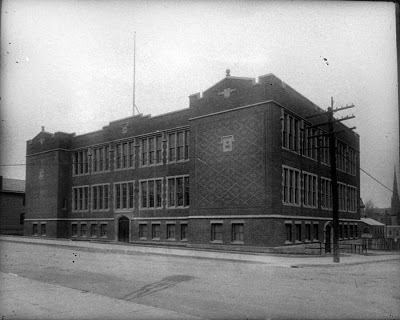 It ceased being used as the high school in 1937, when the building that is now Montgomery C. Smith Elementary School was completed. It was used as the junior high school until the current high school building was completed in 1971, and the junior high was moved to Montgomery C. Smith. Not long after that, 401 State Street was acquired by the county. It now houses the Board of Supervisors chamber and committee room, the Board of Elections, the Civil Service Department, the offices of the county attorney and comptroller, and the departments of human resources, planning, and tourism. 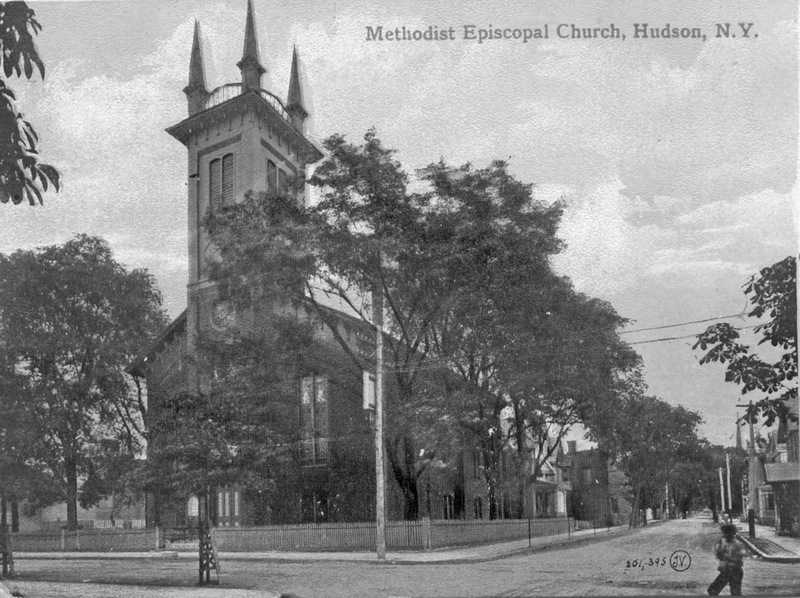 This building, designed by Hudson architect Michael O'Connor and built in 1887, was actually the first Hudson High School. 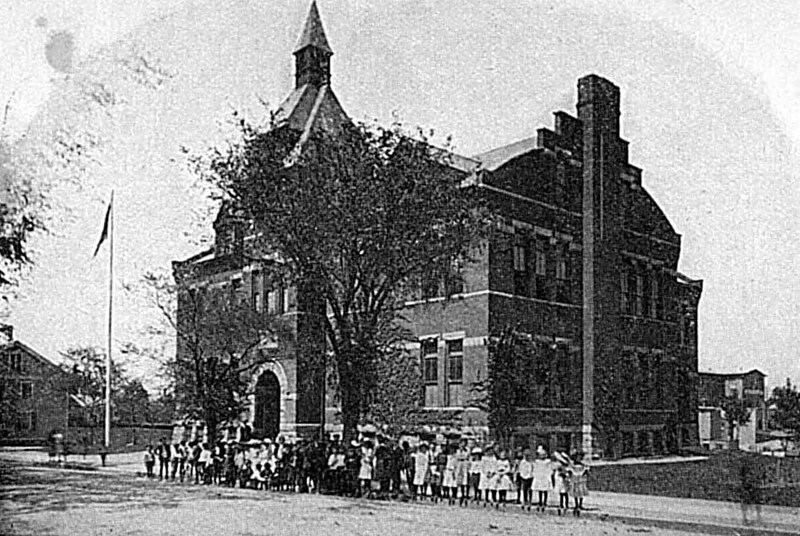 When students moved to the new high school building at 401 State Street in 1916, this building became an elementary school, and it probably continued to be used as an elementary school until John L. Edwards was built in 1964. The building now houses the Probation Department and the offices of the public defender and the county historian. Back in 2010, it was rumored the county was considering adapting the building to be a homeless shelter/transitional housing facility for women and children, to be run by Catholic Charities. 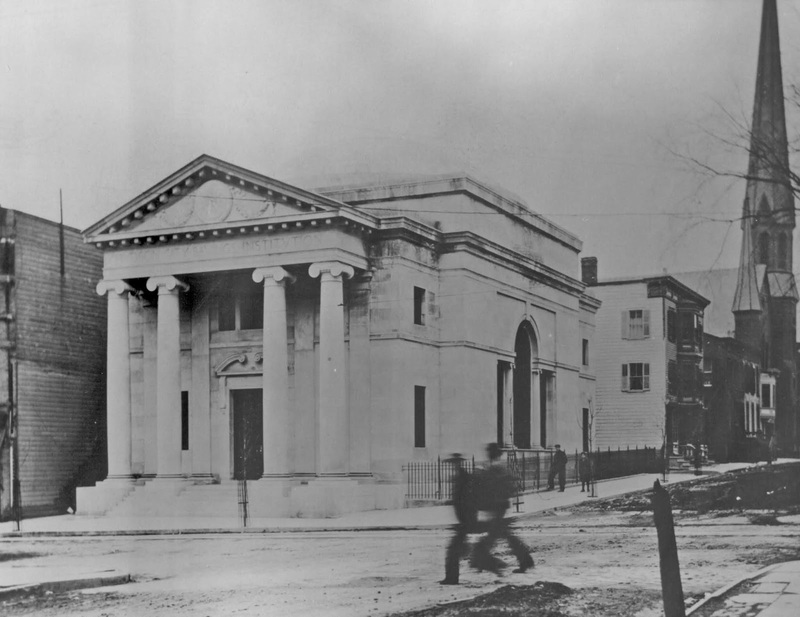 This building, designed by Warren & Wetmore, the architects responsible for the Columbia County Courthouse and involved in the design of Grand Central Station, was constructed as the home of the Hudson City Savings Institution. After two years of construction, the building opened in 1910. 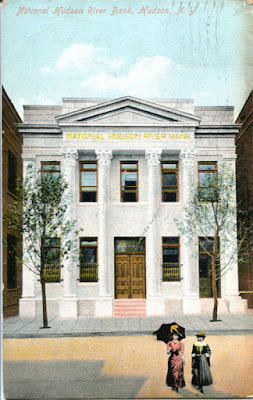 The county bought the building in 1998, when the Hudson City Savings Institution moved to its new building at 1 City Centre and morphed into Hudson River Bank & Trust, to be purchased a few years later by First Niagara Financial Group. The building now houses the Department of Motor Vehicles and the county clerk's office. 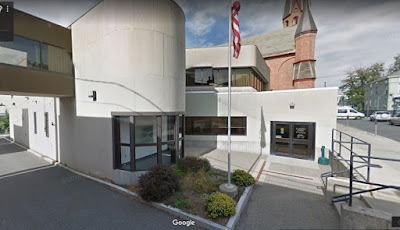 This building, located behind 560 Warren Street and connected to it by a skywalk over Prison Alley, was designed by local architect Lew Kremer and constructed soon after the county acquired the Warren & Wetmore bank building in 1998. This building houses the county treasurer's office and the Real Property Department. The construction of this building was completed in 1907 for the National Hudson River Bank. 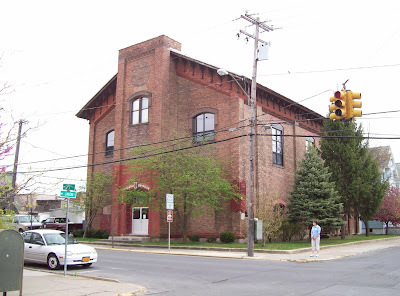 It became Hudson City Hall in 1962, when city offices were moved from 327 Warren Street, Hudson's original city hall. The building houses the Common Council chamber, the offices of the mayor, Council president, city clerk, treasurer, and assessor, and the Department of Public Works. 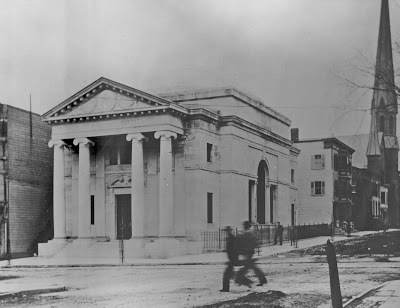 This building started its life in 1853 as the Methodist Episcopal Church. It became the Hudson Boys Club in the 1930s, and is now the Hudson Youth Center. The offices of the Youth Department and recreational facilities, most notably a basketball court, are located in the building. The purpose of this inventory of buildings is simply to make the point that the plan to fill the former John L. Edwards school with municipal offices is going to leave quite a few monumental and historically important buildings, two of them very visible on the city's main street, in need of new owners and new purposes. What those new purposes are is going to have an impact, by no means insignificant, on the city. Thank you for this very important information on the buildings that will be impacted. So many angles need to be looked at before this decision is made. I'll be sharing this post! I second Brenda. In theory the newly reconstituted HDC would be an obvious lead agency for looking into this and the Historic Preservation Commission an obvious partner. But we can only hope that these two quasi-public groups get their acts together on the transparency and expertise fronts.